Copper butter lamp with auspicious symbols decorat.. Heavy butter lamp made of bronze. 9cm high x 7cm d.. 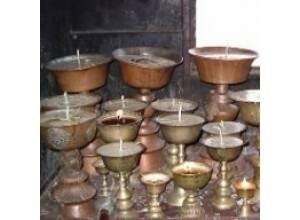 Butter lamp made of brass. 8.5cm tall. 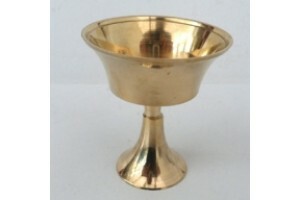 Butter lam..
Small brass butter lamp plain. 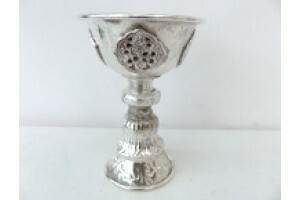 6cm high and 5.5cm ..
Silver plated butter lamp with auspicious symbols ..